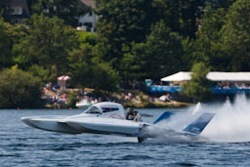 Jeffrey Dahl’s gallery of the 2011 ULHRA Graham Trucking Cup on Lake Washington. Jeffrey Dahl’s gallery of the 2010 ULHRA Graham Trucking Cup on Lake Washington. Jeffrey Dahl’s gallery of the 2009 ULHRA Graham Trucking Cup on Lake Washington. Jeffrey Dahl’s Saturday gallery of Strait Thunder in Port Angeles, WA. Mark Sharley had a great vantage point for Paul Becker’s full 360 degree flip at Silverdale. Check out the AMAZING composite of all the frames! Walt Ottenad’s gallery of the 2008 ULHRA Graham Trucking Cup in Seattle, WA. Chris Denslow’s gallery of the Unlimited Lights at the Graham Trucking Cup at Seafair. Chris Denslow’s gallery of the Unlimited Lights at the HAPO Thunder Cup. Chris Denslow’s gallery of the Tastin’ N Racin’ weekend on Lake Sammamish. Chris Denslow’s gallery of Unlimited Lights at Richland. Chris Denslow’s gallery of Lighter than Lights at Richland. 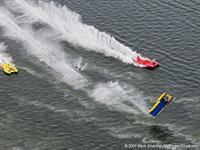 Mark Sharley’s images of Vintage, Unlimiteds, PWC’s and all the APBA action from Lake Sammamish. Walt Ottenad’s gallery of the 2008 ULHRA Desert Thunder II in Richland, WA May 18-19, 2008. Lisa Courneya’s gallery of the Lighter than Lights at the 2008 ULHRA Desert Thunder II in Richland, WA May 18-19, 2008. Lisa Courneya’s gallery of the Unlimited Lights and Thunderboats at the 2008 ULHRA Desert Thunder II in Richland, WA May 18-19, 2008. Mark Sharley’s gallery of ULHRA Desert Thunder II in Richland. Mark Sharley’s gallery of the ULHRA exhibition at Firebird Lake in Phoenix, AZ November 16-18, 2007.